Victoria C. Fontan very kindly organised our meeting! She is the Director of Academic Development, and Assistant Professor of Peace and Conflict Studies at the United Nations-mandated University for Peace in San Jose. A big thank-you to you, dear Victoria! 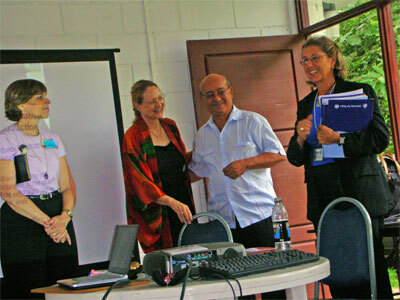 And another big thank-you to UPeace for your great hospitality! 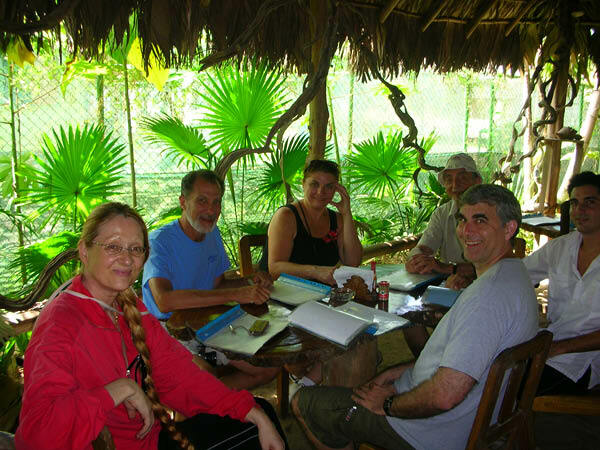 After our public conference, some of us went for a post-conference trip to the Carribean, about 3.30 hours from the UPeace location. 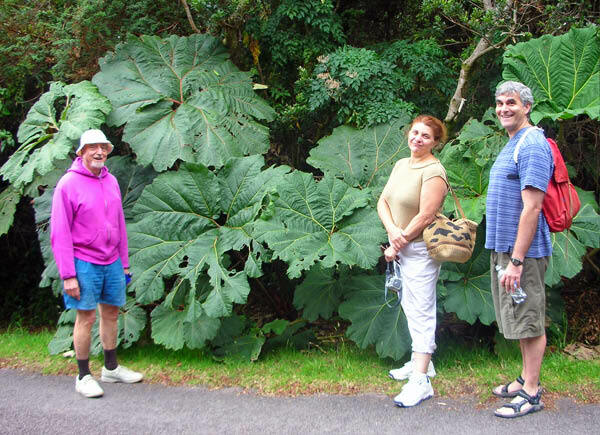 We originally planned to stop on the way for a walk through the cloud forest or a visit to the Earth University, however, we have to leave that to the next time. Christopher Santee most ingeniously kept us all alive and well housed! See for a choice of very good and not too costly hotels: Hotel Canal Grande (very beautiful and not at all costly), Corteza Amarilla Lodge (lavishly creative and beautiful, a bit more costly). Please have a look at our previous meetings and at the newsletters written after these meetings! 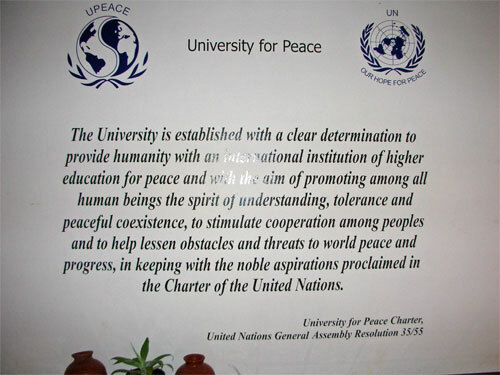 The University is established with a clear detarmination to provice humanity with an international institution of higher education for peace and with the aim of promoting among all human beings the spirit of understanding, tolerance and peaceful coexistence, to stimulate cooperation among peoples and to help lessen obstacles and threats to world peace and progress, and keeping with the noble aspirations proclaimed in the Charter of the United Nations. 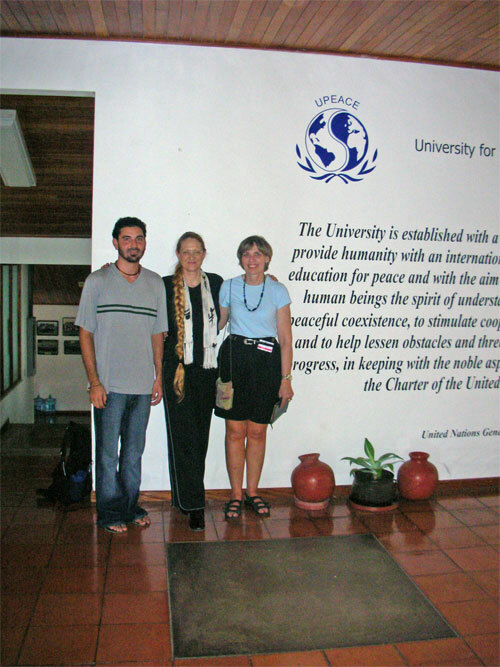 These pictures were taken on 4th August, 2006, with Christopher Santee, Linda Hartling, and Evelin Lindner in front of the University for Peace Charter. Please click on the pictures to see them larger. trying to move beyond conventional practices that can subtly undermine human dignity by devaluing the experience of disadvantaged individuals in favor of advantaged individuals. At the same time, we want to benefit from the knowledge "experts" have to share. 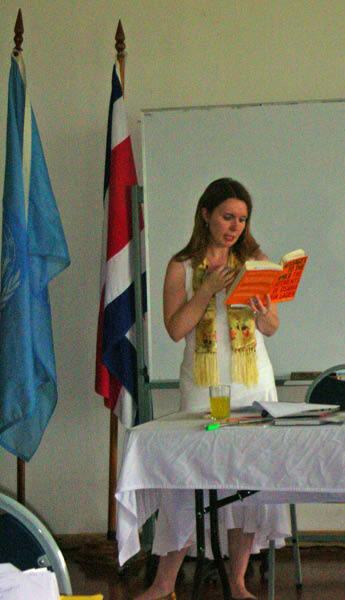 Victoria C. Fontan is Director of Academic Development and Assistant Professor of Peace and Conflict Studies at the United Nations-mandated University for Peace in San Jose, Costa Rica. As a Fellow to the Iraq Project at the CICR in Columbia University, Victoria is in charge of developing a permanent Conflict Resolution curriculum in northern Iraqi universities. Christopher Santee is currently studying and residing in San José, Costa Rica. He obtained a Bachelor's degree in Interdisciplinary Studies with a focus on Peace Studies from Naropa University in Boulder, Colorado, USA in 2005. 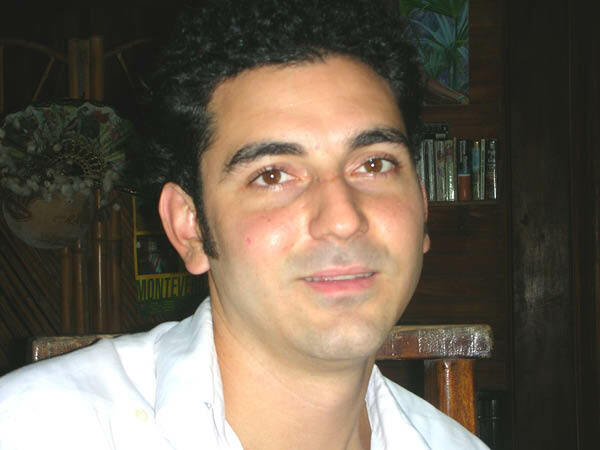 Christopher has been working and interning at the United Nations-mandated University for Peace in Costa Rica since February, 2005. He hopes to enroll in a masters degree program in a yet-to-be determined institution for Sustainable Development, Peace Studies or International Relations with a focus on Latin America. 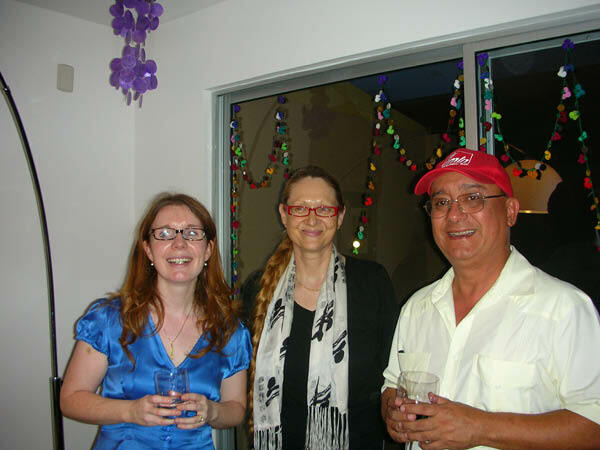 Victoria holds a Ph.D. in Peace and Development Studies. 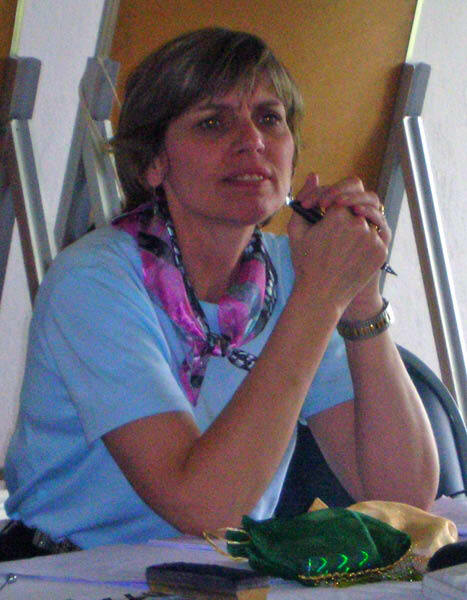 She published various papers on multi-track diplomacy, human trafficking, the public diplomacy of armed groups and the formation of political violence in post-conflict societies. Central to her work has been a conceptualisation of post-conflict processes through the study of social, gendered, cultural, economic and political humiliation. She conducted field research in Lebanon with the Hezbollah, in Bosnia-Herzegovina on human trafficking and organised crime, and in Fallujah (post-Saddam Iraq) with emerging armed groups. She is also involved in gender training for peacekeeping operations, and has lectured to various armed forces on the subject. Please read more here. Please click on this picture to see it larger. Linda took this picture! Humiliation in a Globalising World: Does Humiliation Become the Most Disruptive Force? 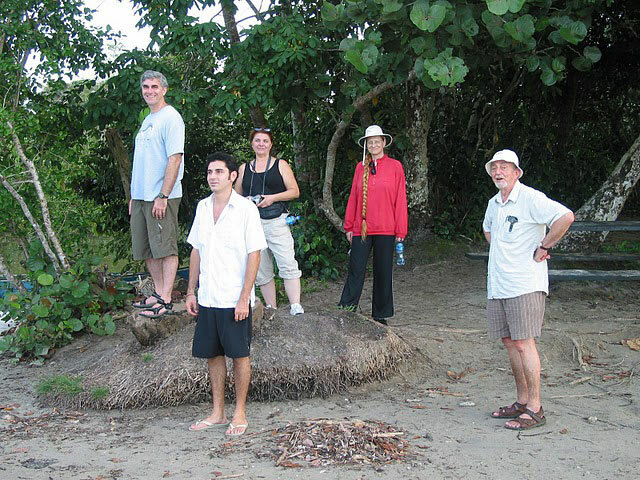 After our public conference, some of us went for a post-conference trip to the Caribbean, to Cahuita, about 3.30 hours from the UPeace location, where we stayed for two nights (10-11th September). The following day, some of us went to the Poas volcano, and to Sarchi (12th September). Early records from the Cahuita area show that it was one of the favorite sites used by Miskito Indians (from Nicaragua) for turtle hunting. These Indians called this place Cahuita which means “point where the Sangrillo tree (Pterocarpus officianalis) grows” due to the abundance of this tree species. In 1970, the government of Costa Rica declared Cahuita Point’s Coral Reef a National Monument. In 1978, 1,068 hectares of coastal land and a marine area of 22,400 ha surrounding Cahuita Point were declared a National Park. 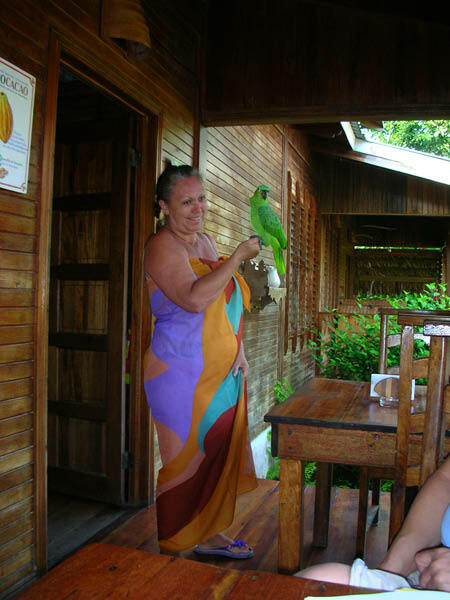 Cahuita National Park was the first marine park in Costa Rica. On the April 22, 1991 a powerful earthquake lifted the surrounding land and seafloor approximately one meter and considerably affected the ecosystem of one of the most diverse and beautiful coral reefs of the Costa Rican coast. Today, Cahuita’s reef is composed by nearly 35 species of coral; it hosts 140 species of mollusks, 123 species of fish and 128 species of algae. The reef covers an area of 600 hectares. 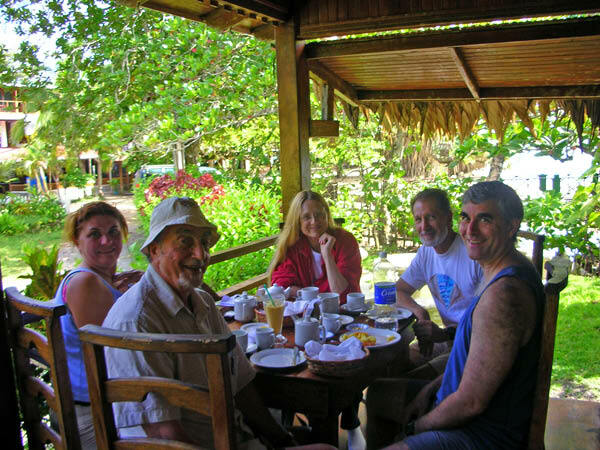 We stayed at the paradise of Kelly Creek with Marie-Claude and Andreas (Hotel - Restaurant, Cahuita, Playa Blance, Entrada Al Parqe Nacional, Costa Rica, Tel. 7550007, kellycr@racsa.co.cr, www.hotelkellycreek.com). Please click on the picture to see it larger. 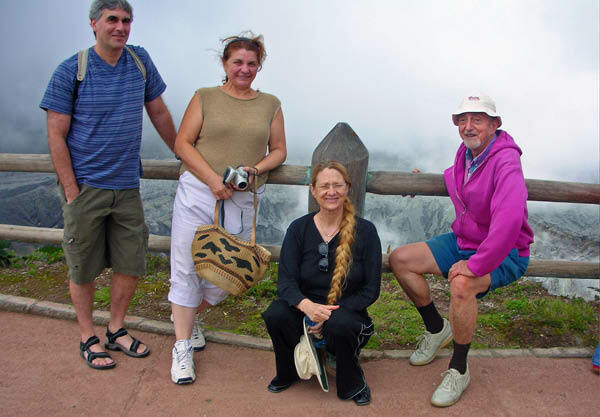 On 12th September, some of us went to the Poas volcano, and to Sarchi. 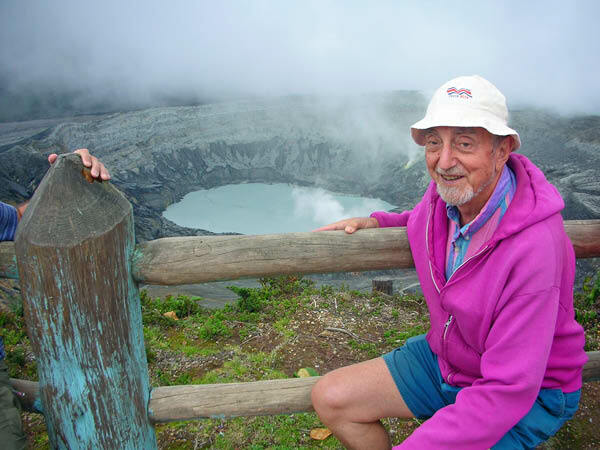 Volcan Poas is one of the most visited volcanoes in Costa Rica, because of its proximity to San Jose and because of the luxuriant forest that surrounds the two craters. The park measures 5600 hectares, and this basaltic volcano stands at an altitude of 2708 meters (8,200 feet) above sea level. 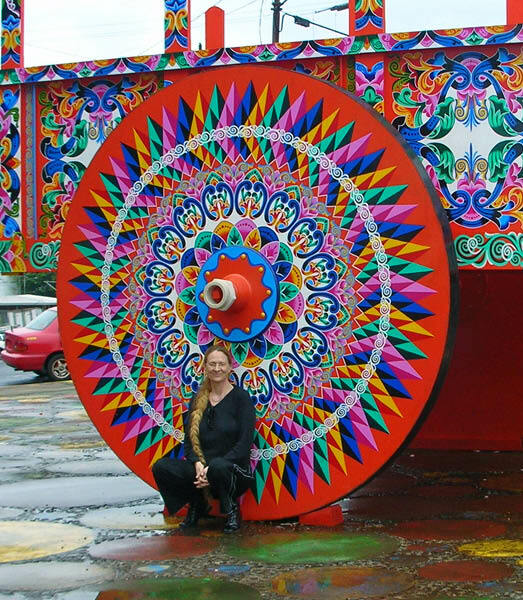 The oxcart, painted in bright colours and unique geometric designs, has become a symbol of Costa Rica. The tradition of craftsmanship goes back to the early 20th century when an ingenious farmer decided to break the norm and assert his individuality by painting his oxcarts with a design. 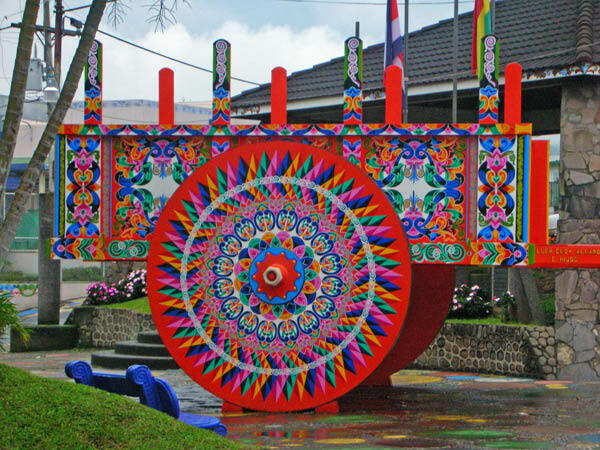 The trend caught on throughout Costa Rica and today Sarchi is a famous artisan centre. Visitors can tour the oxcart factory or just shop to their hearts content in several souvenir shops, which display all types of handicrafts. 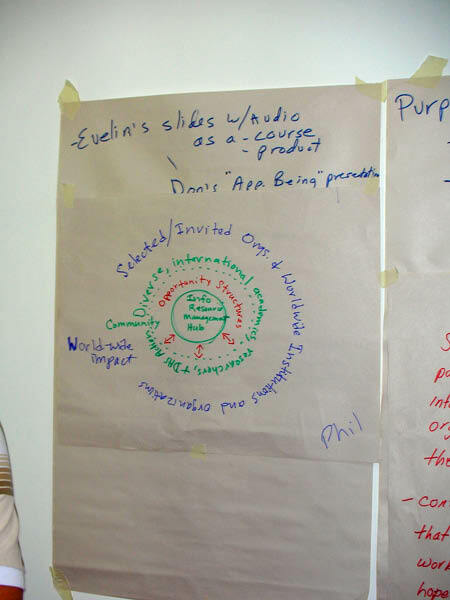 Donald Klein and Linda Hartling welcomed everyody and set the frame of our meeting within "Appreciative Inquiry." Please read An Appreciative Frame: Beginning a Dialogue on Human Dignity and Humiliation, that Linda has written for us in 2005. Linda usually keeps our workshop together with her continuous caring interventions, and Don's caring wisdom always carries our meetings through crucial moments! Thanks you to you both! 11.00-12.30 Introductory Presentation: Humiliation in a Globalising World: Does Humiliation Become the Most Disruptive Force? 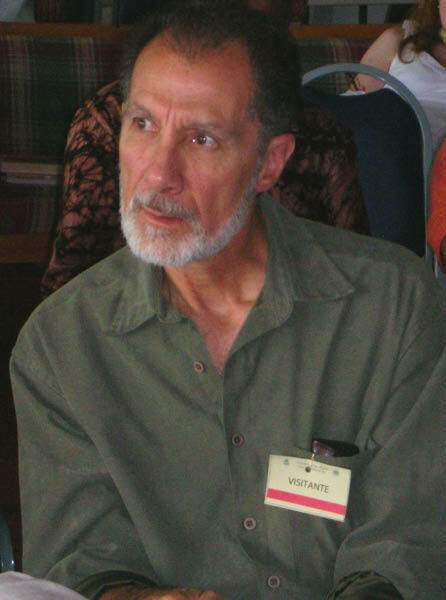 Our Open Space was kindly facilitated by Alan Klein. 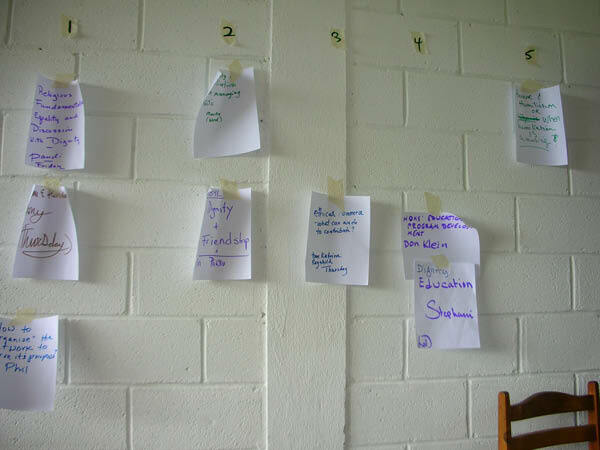 The Open Space began on Day One, and continued on Day Two and Day Three. The program for the Open Space on Day Two and Three emerged during Day One. Please read here more about the Open Space and what it entails. Pascal Kaplan first gave us an introduction, then he toured the site, and finally, he used the last minutes for questions and dialogue with the group. 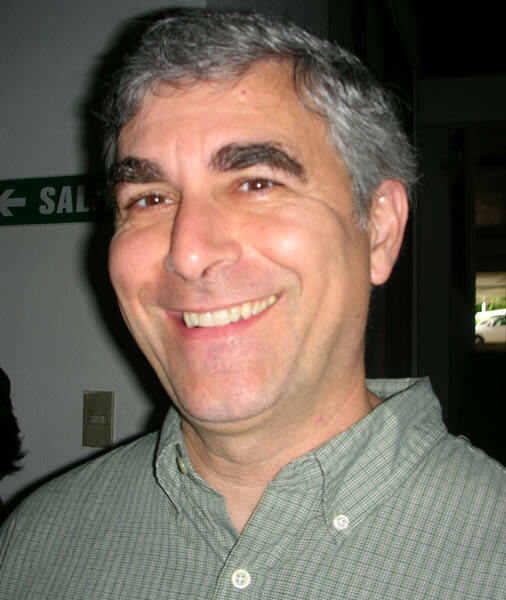 Philip Brown introduced icohere to our group on June 1, 2006, by email: "I have gotten to know the founder and co-president of this group which offers cutting edge internet based collaborative resource tools and is a values-driven organization which uses appreciative inquiry as a primary consultation strategy. They have also worked internationally, and we could do a live demonstration of how they have worked." We all went to say hello to the Rector of the University for Peace, Julia Marton-Lefèvre, and then we took a walk through the campus and the park, visiting all the statues in the park (Gandhi, Tolstoi, Eleonor Roosevelt, Albert Schweitzer, and so on). Please click on this picture to see all the other statues in the UPeace park! Linda took these pictures! Everybody shared with the group how he or she would envisage our work in 10 years, if it served his or her needs optimally. The question was: "How should the network look like in 10 years to serve your needs?" 1. "Revolutionary optimism": I would wish that in ten years the notion of "revolutionary optimism" is more accepted (or any other label for this concept). Please see my paper A New Culture of Peace: Can We Hope That Global Society Will Enter Into a Harmonious Information Age? 2. Current situation: Calculated over a whole year, currently, I use circa 5 hours per day on emails for our network, and on building our website. I use 2 hours on finding and meeting with like-minded people, and inviting them into our network (see our Global Advisory Board, Global Core Team, Supporters, Partners, Links, Education Team, and Research Team). I furthermore use circa 2 hours on teaching, and 1 hour on writing. 3. In ten years: I would like to reverse my current situation in 10 years. I would like to do much more writing (and much less emailing and teaching). 4. This would entail: Apart from doing more writing and less emailing and teaching, I would like to continue finding like-minded people, and inviting them into our network. I am also more invested in certain Intervention projects than in others. However, I would love finding Directors/Coordinators for our Research and Education Programmes, and Directors/Coordinators for our Intervention projects. For example, we urgently need a Director/Coordinator/Manager for our World Clothes project. Currently, our Intervention projects are largely "ideas in waiting," except for some great exceptions: see, for example, Neil, who recently began working on a Japan project, or Francisco's Peace Linguistics page, or Arran, who even made a mirror page for his projects, which is the best solution, since I am no longer a bottleneck for this project. Furthermore it would be great to have support with the load of emails. We would have to find particularly aware helpers, because our network does not resemble "normal" organisations. In the spirit of appreciative being, and of "walking the talk," we wish to use also our emails to build what Martin Buber calls I-Though relationships, and create what Jean Baker Miller refers to as "the desire to continue a relationship." We do not wish to be money-driven and attract people with funding or salaries, what we wish to offer are mutual authentic connections, relationships built on the notion of equal dignity, a shared vision, and joint work for this vision. Building such relationships, treating the recipient of an email as a human being and not as a carrier of an institutional role, is the first "task" of each email, not the factual content. We wish to carefully find a middle ground between the two extreme poles of the continuum: we do not wish to engage in a "New Age peace-to-the-world-and-let-us-all-love-each-other" style, which often fails to address the recipient of a message as a particular individual - this would be one extreme pole - and we also wish to steer clear of the other extreme pole, namely the dry and impersonal formality of technical exchanges of information (of course, this is sometimes appropriate, but we do not wish to have this as our default approach), or the kind of debate that aims at winning the point and meting out judgements. In ten years, I see our group continue to build essential networks that reinforce and support our work for a sustained sense of hope and reconfirmation of a mutual desire to eliminate humiliation and support human dignity worldwide. In ten years, we help support and elect individuals who have our vision. 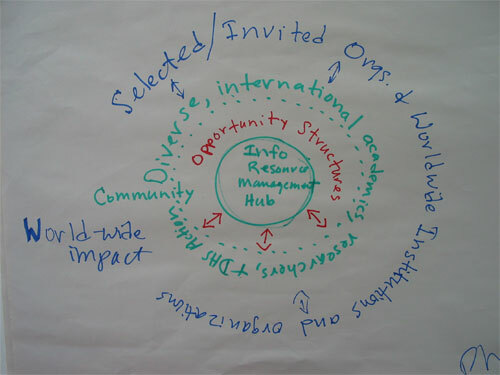 Info Resource Management Hub > Opportunity Structures > Community of Diverse International Academics, Researchers, & DAS Action > Selected/Invited Organizations & Worldwide Institutions and Organizations > Worldwide Impact. 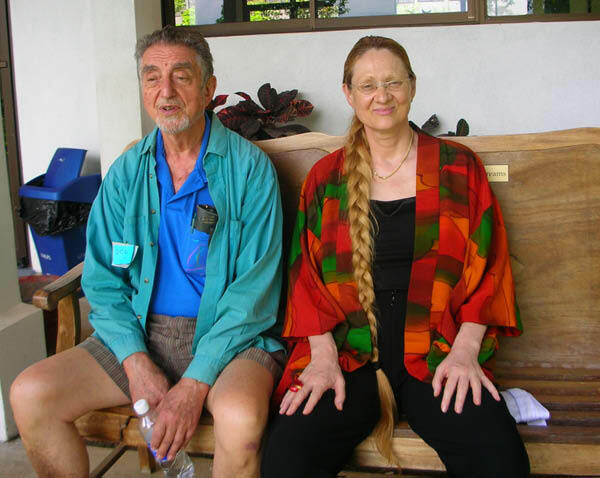 Other participants: Linda Hartling, Richard Slaven, Donald C. Klein, Alan Klein, Philip Brown, Moira Rogers, Amy Hudnall, Myra Mendible, Margie Molina, Sibyl Ann Schwarzenbach, Pandora Hopkins, Marta Carlson. Zayra Mendez Barrantes kindly offered that they could come to our meeting and present their program and its evolution in Costa Rica and internationally. The director of the program is Kattya Arroyo, and Dr. Maughn Gregory is the Director of the Institute for the Advancement of Philosophy for Children at Montclair State University in the U.S.
Philip Brown introduced Philosophy for Children to us on June 1, 2006, as follows: "I have been working with a wonderful program called Philosophy for Children, which engages educators around the world in helping children explore the most important issues in individual and communal life. It happens they have a center in Costa Rica."  Inquiry into Educational Philosophy. 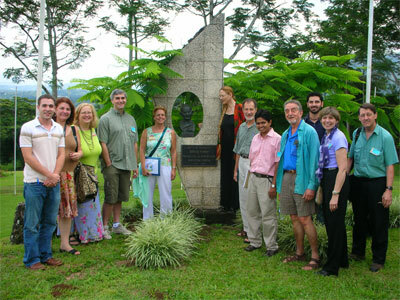 The Institute conducts, sponsors and advises theoretical scholarship and empirical research in teaching pre-college philosophy, and in educational philosophy, defined as the use of philosophy for obtaining educational objectives including multi-dimensional thinking, social inquiry, collective self-governance, emotional sensibility, and moral and aesthetic judgment.  Philosophy for Children Programming. 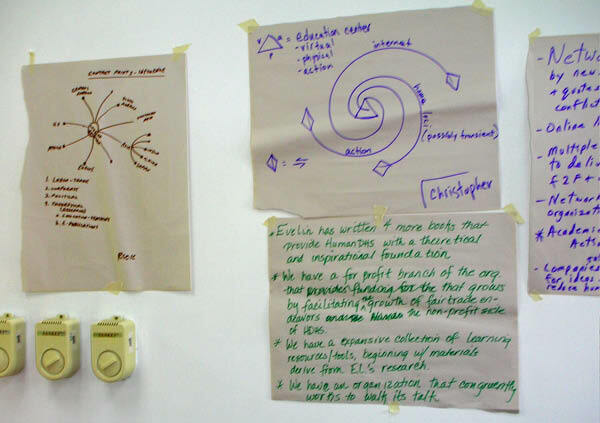 The Institute provides systematic curriculum materials in Philosophy for Children, and offers a number of forums of teacher preparation in the use of this curriculum, with emphasis on the pedagogy of the Community of Inquiry.  Educational Reform. The Institute contributes to initiatives of educational reform consistent with the educational commitments specified above. 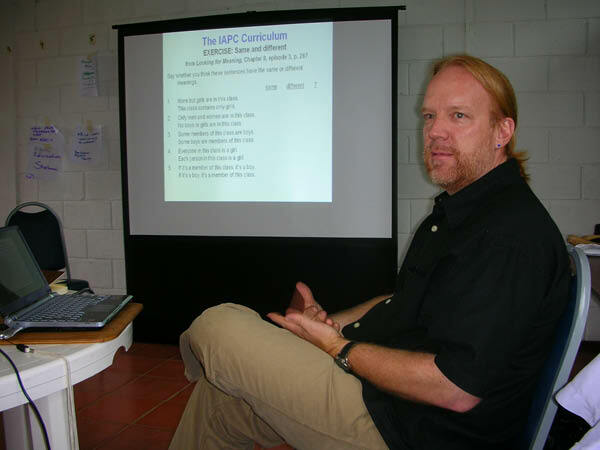 The primary constituency the IAPC aims to serve is schoolchildren­from pre-schoolers to highschoolers and from schools close to the Institute to schools in the 40-odd nations with active Philosophy for Children centers. 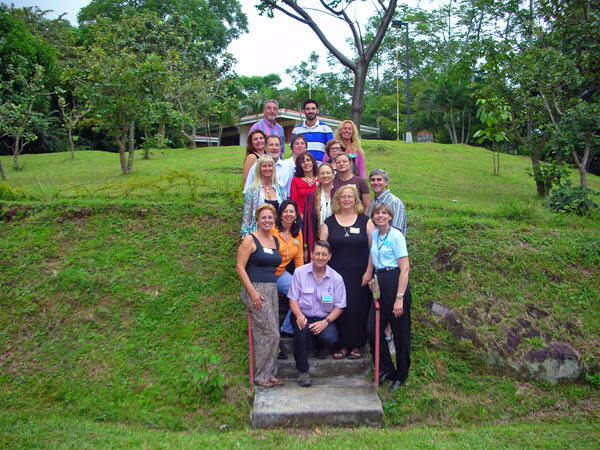 In addition to working directly with schoolchildren, members of the IAPC work with several constituencies, including professional and pre-professional educators, educational administrators and policy-makers, and faculty and students of education, philosophy and related disciplines. Everybody shared what he or she would take home from our meeting. Farewell for Evelin, 20th September 2006, please click here or on the picture to see more photos. 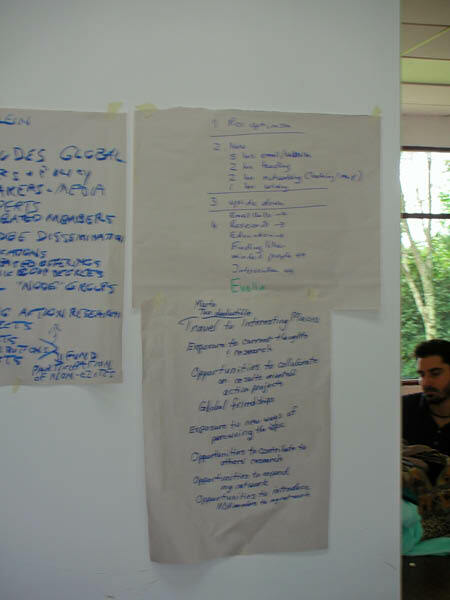 Donald Klein explained the Open Space design as follows (2006): It involves creating a kind of "marketplace" of possibilities based on topics nominated by participants. The only requirement is that whoever nominates the topic, acts as the convener of the discussion of the topic and takes responsibility for having notes taken. 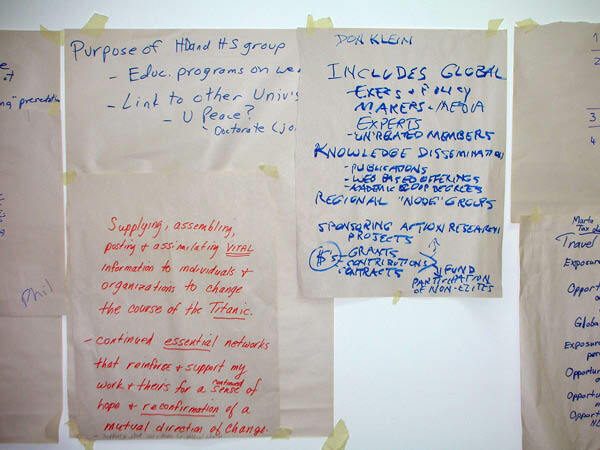 A report is subsequently made about the essence of what was discussed, including any conclusions or recommendations, at a plenary session following the topic groups. We discussed our Open Space Section. Don explained that we could have different levels, a more open and general level and a more focused level. At the more open level we would discuss what is on our minds, at the more focused level, we would form "buzzgroups" on particular topics, such as business, research, education, fundraising, non-profit. Another advantage of the open-space technology (as I experienced it) is that people stay "fresh" in the workshop. The discussion excites and revives people and forms a good basis for getting to know each other and going on with the discussions at a later time in the workshop (e.g. during lunch). 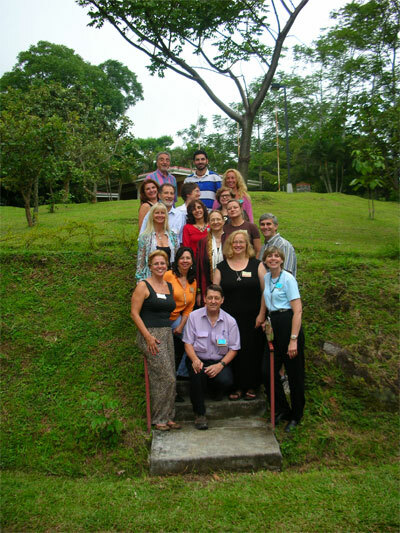 The network originally was a group of "originators" of theory and practice in the area of group dynamics. Most of them had participated in the discovery of "sensitivity groups" or the t=group method. After almost a decade, the more experienced people in the network became Fellows, as distinct from ordinary Members of the network. To admit someone to their membership, all the Fellows had to agree that the applicant's credentials merited inclusion in the Fellows. During t his initial period, which lasted about ten years, selected members of the network participated as staff members of two and three-week training programs for the general public, using the t-group method. An enormous amount of theory building took place as faculty spent three or four days preparing each of the training labs. It should be noted that most of the network were academics engaged in one or another of the social sciences, in areas related to democratic participation in social change. They were all motivated by their common passion and some of them felt that the two or three weeks they spent with their colleagues from around the country were the most meaningful and exciting of the entire year. In the 1960s, questions arose about the suitability of having a "class" system in the network. The Fellows were seen as an anti-democratic perversion of the ideals and purposes of NTL. And so the Fellows class was discontinued. In my view the social impact and creativity of the current network have been reduced by NTL's growing emphasis on operating profitably as a "business". A major point in all of this history for me is that there is no "ideal" and certainly no "absolute" way of resolving questions having to do with competency, interest, and inclusion. Based on the above history, my inclination is to favor the "class" system; i.s., creating a group of qualified researchers, practitioners, and policy shapers to work together to shape, participate in, and contribute knowledge and skills to the work of HDHS network, including those activities that enable it to raise money by grants, contracts, income from training programs, and contributions. In terms of Open Space...I think we should have some of the same groups we had in Berlin, with room for a couple of new groups. For example, we could have an education group, a research group, a business group, etc. It would be helpful to have these key groups continue their discussions, rather than creating all new groups. Didn't we talk about having "buzz groups," meaning groups addressing topics that people want to continue to move forward? The education, research, and business groups could be buzz groups. Rick added to our discussion, that in Physics, the phenomenon of synchrony is known, but not explained, see All Altogether Now: Synchrony Explains Swaying. Alan sent us this wonderful globalcommunity flash! Rebecca, for the first time, could not join us in our meetings, because she began her studies at Tufts University, and can't be away. Please see: Spiraling in Human Insecurity: The Historic Evolution of a Country, a paper presented to the Expert group meeting "Structural threats to social integrity: Social roots of violent conflict and indicators for prevention," 18-20 December 2001, United Nations, New York, NY, organized by the Social Integration Branch of the Division for Social Policy and Development, Department of Economic and Social Affairs United Nations, New York (WOBEHALAN is a fictional country, fully named “Would Be a Happy Land). I am now at elementary schools doing seminars on dignity in the classroom, and stepping away from conflict in the school environment using the LIFESKILLS techniques introduced by Kovalik and Associates and the ITI. I am currently working on a possible paper on the school district, and the parent conferencing they have done, technology development, and other measures to assure a more safe and productive educational environment. I'm looking in depth at the 'expectations' guidelines for the state, and how to hold them accountable in the different schools. Hope everyone is well. 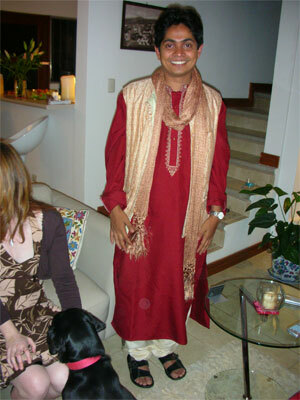 I look forward to Costa Rica, so please add me as an attending person. If you are doing any portion on conflict management in the classroom environment at elementary school level, I can speak on that if needed. 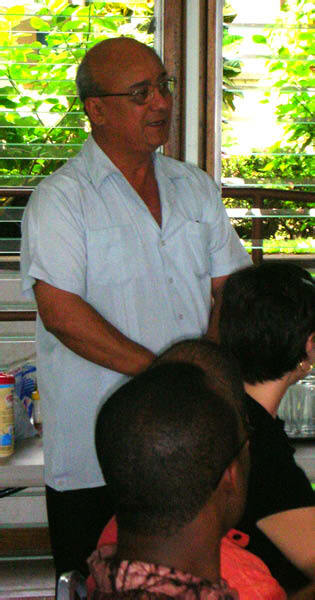 Kjell Skyllstad kindly wrote (20.12.2005): I am now seeking to renew my commitment to environmental issues on the basis of my former studies among tribal peoples in South East Asia and cofounder of FIVAS. In the ever more intense conflicts over land and water rights, and the ever more ruthless exploitation of our dwindling natural resources, the indigenous peoples as rightful owners and faithful stewards of these resources are driven from their lands, and forced into humiliating forced exile in city slums. I would like for one to bring their plight into light. Is this a legitimate theme for Dignity and humiliation studies? 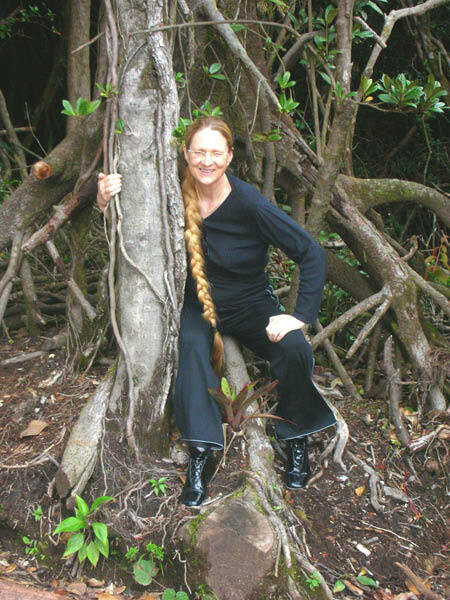 Linda Hartling kindly contributed to the discussion on gender with Miriam Marton (24/04/2006) and made us aware that there is strong evidence for the so-called gender similarities hypothesis. 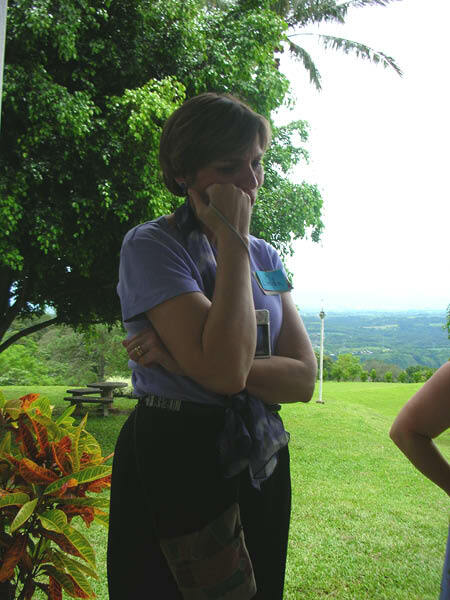 Please see Hyde, Janet Shibley (2005). The Gender Similarities Hypothesis, in American Psychologist, 60 (6), pp. 581-592. Dear Evelin, I would like to propose as a topic for discussion "Humiliation as Intimidation: Deconstructing the Rule of Law in Ukraine and Timor-Leste." Atmospheres of secrecy support the structural arrangements of a criminal justice system in which confession without verification is biased toward conviction without recourse. The intimidation of suspects through the use of coercive methods turns humiliation into a weapon whose effects are a post-traumatic legacy, further destabilizing cohesive social relations and the matrix of care. The ambiance most conducive to the use of force as threat and in the service of dehumanization is dyadic, conducted in often isolated and remote settings without witness or documentation. It is the presence of the "third eye," the witness function provided through video and audio documentation that opens up this space of exclusion (the one most conducive to humiliation) into one of exposure which furthers transparency. I shall discuss these themes through the case examples of recent reports of brutality in two very diverse cultural contexts--in Ukraine and, most recently, in Timor-Leste. The change of mental sets through changing the structural conditions in the conduct of the rule of law will be discussed. I shall also explore these themes in terms of the ethics of relationships as we have developed them in the Moral Personality Inventory. Everybody is warmly invited to send papers to us. 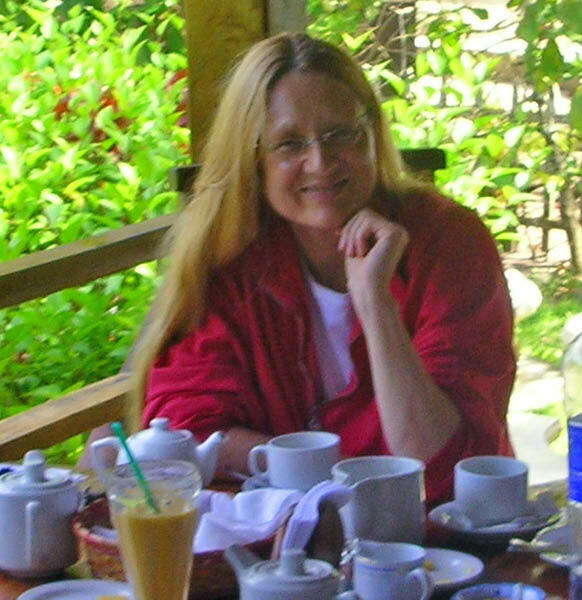 Victoria C. Fontan has kindly taken upon her the task to develop edited books (with the help of Christopher Santee, Linda Hartling, Arie Nadler, and Evelin Lindner) starting with the contributions of the participants of our Workshop on Humiliation and Violent Conflict in 2004. Please see Violent Conflict and Humiliation. 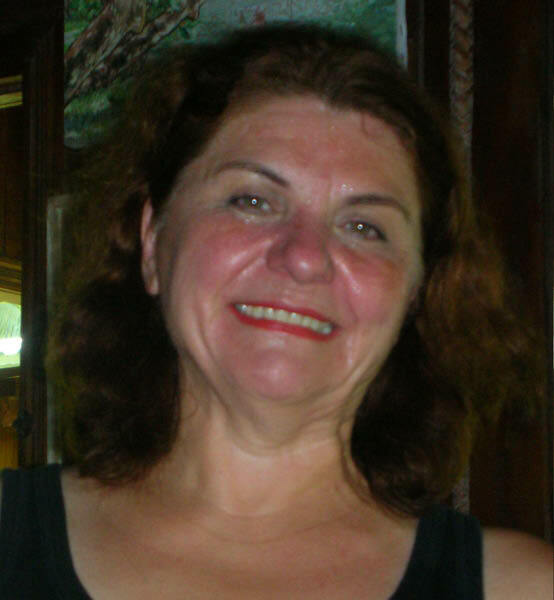 Victoria C. Fontan has furthermore kindly taken upon herself the responsibility of being the editor of our journal. Please notify us, if you wish to submit any of your papers either as a book chapter or as a journal article. 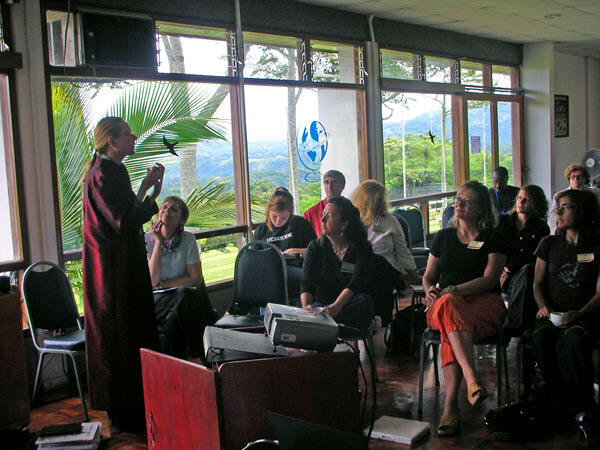 Summary prepared for 7th Annual Meeting of Human Dignity and Humiliation Studies in Costa Rica , 6th-9th September, 2006. Please see here the papers that have been written so far in connection with our meetings.